How many petals do I need? How many petals do I need for my wedding? 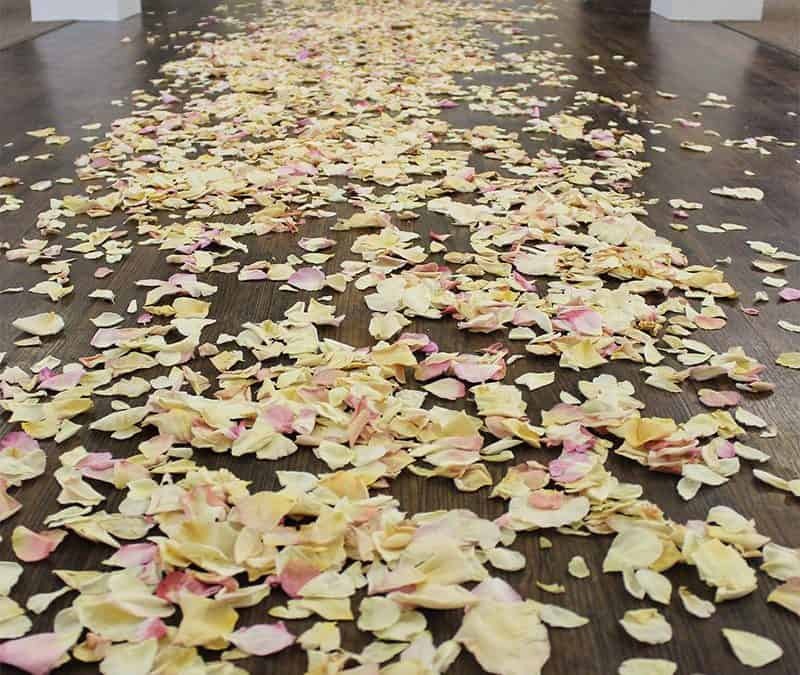 There is a wide variety of ways you can use flower petals for your wedding. 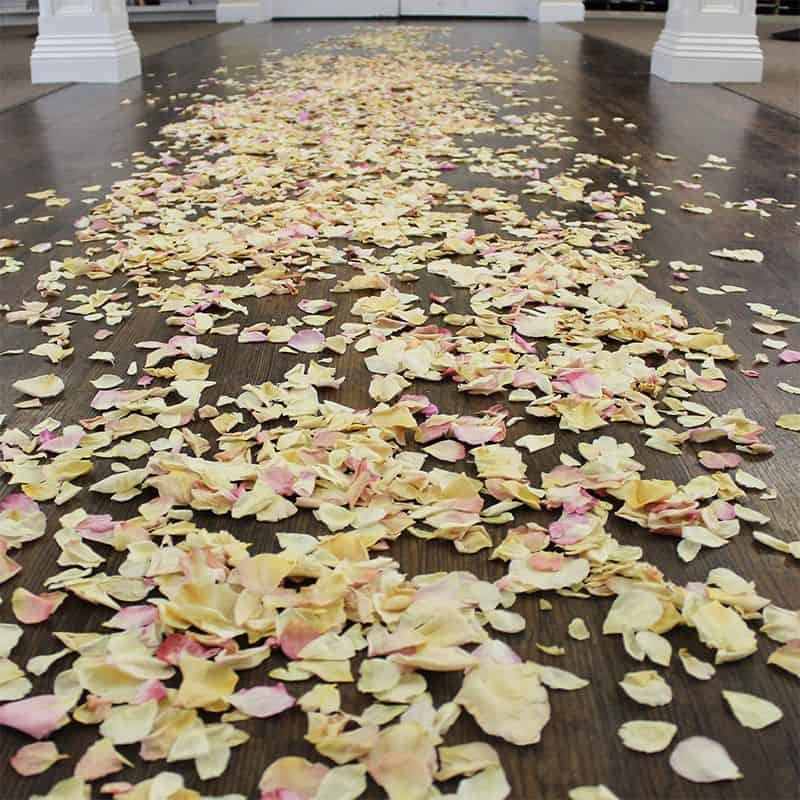 Some of the most common uses for petals is making a trail down the aisle, filling a flower girl basket, or scattering petals across a table. Freeze dried petals are pretty amazing. These beauties have quite the reputation. One of our favorite things about them is they can last up to a year! They are wonderfully fragrant, they do not wilt, they do not crumble, and they’re gorgeous. Freeze dried petals are also not limited to just roses, but we have different blends of lilac, peony, and hydrangea petals. There were 3,351 petals in this photo! And yes, we counted every last one of them. This heart 43in wide and 32in tall. And we used a full two of the Assorted Pastel Blend FD Rose Petals. The petals come in quantities of 30 cups, so here we had about 60 cups. 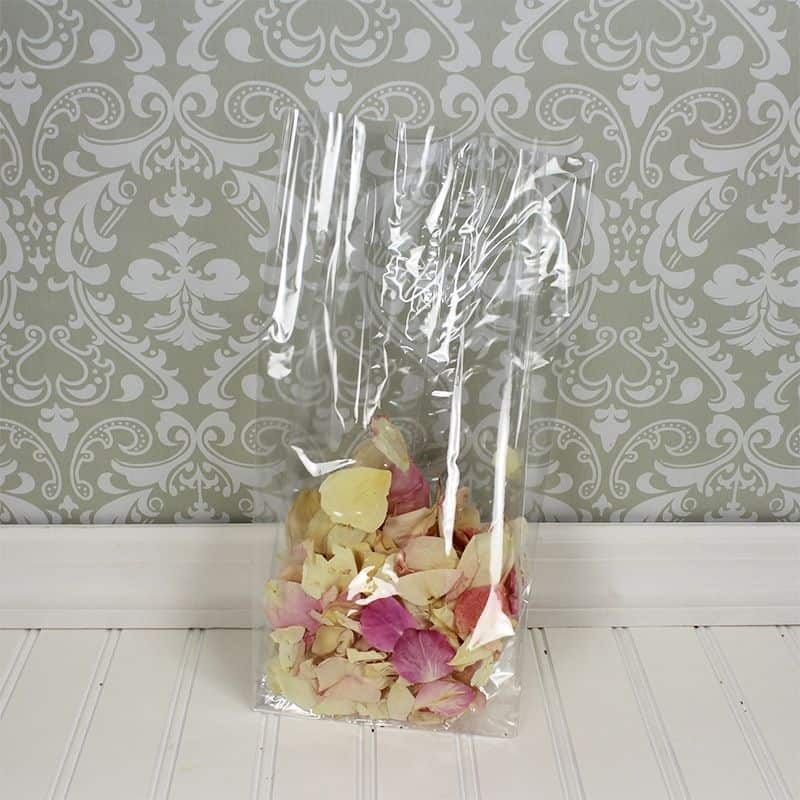 These very popular premium freeze dried rose petals are a blend of pastel ivory, peach, pinks, and apricot- perfect for spring time! 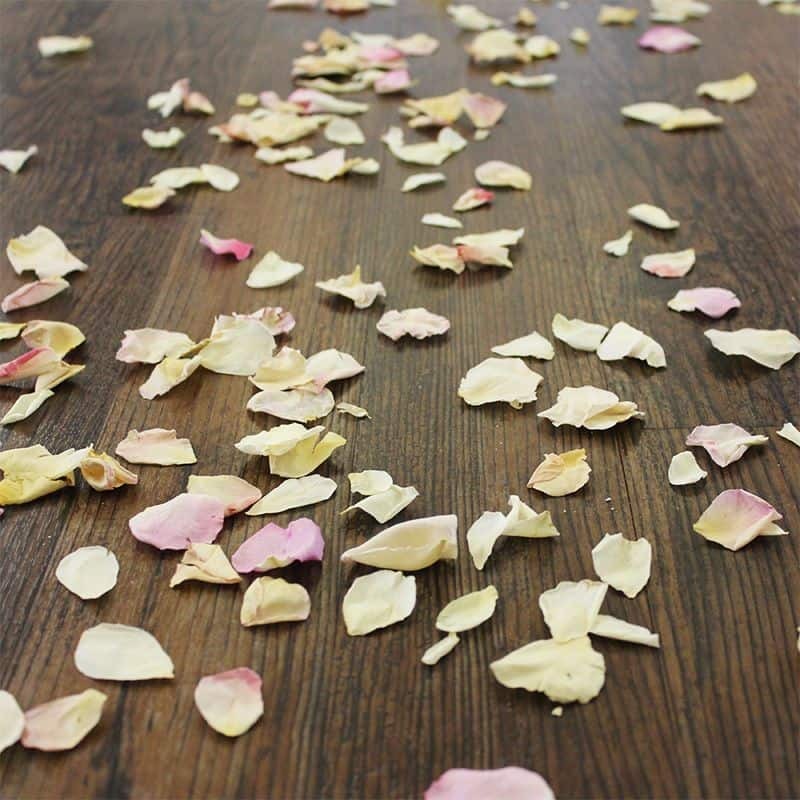 Check out the photos below and get to know these freeze dried petals a little better. Here are about 2 cups/handfuls of petals scattered across a square yard. Here are 60 cups scattered more dense (about 1.5 yards wide and 4 yards long). 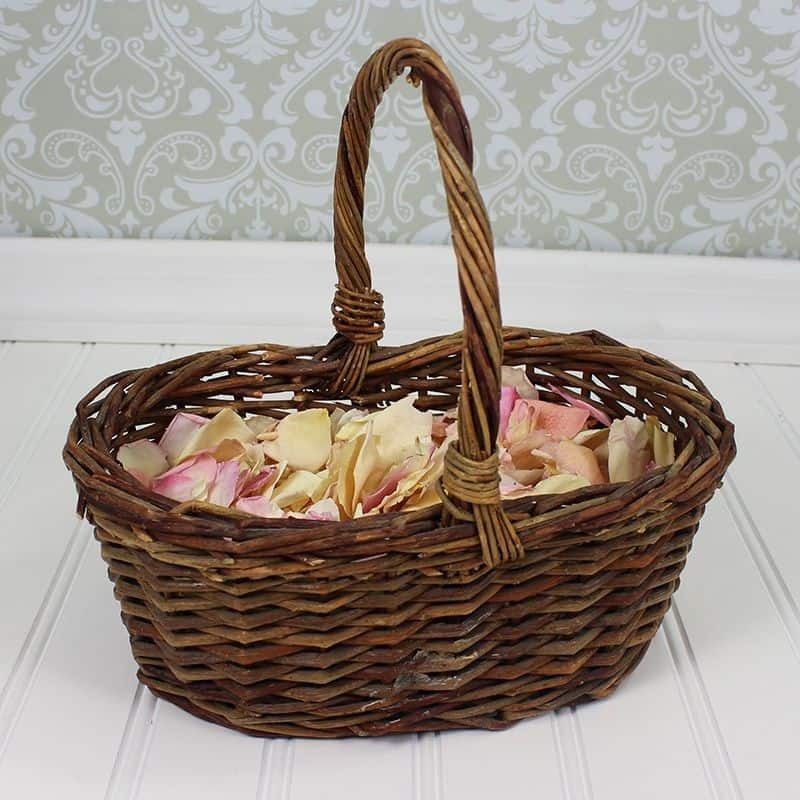 Here is a medium sized flower girl basket with 3 handfuls/cups filling it. Here is 1 handful/cup in a corsage bag. These bags are perfect for giving to guest to toss in the air. See our freeze dried petal FAQ if you have more questions! Or contact us and we can help you out. 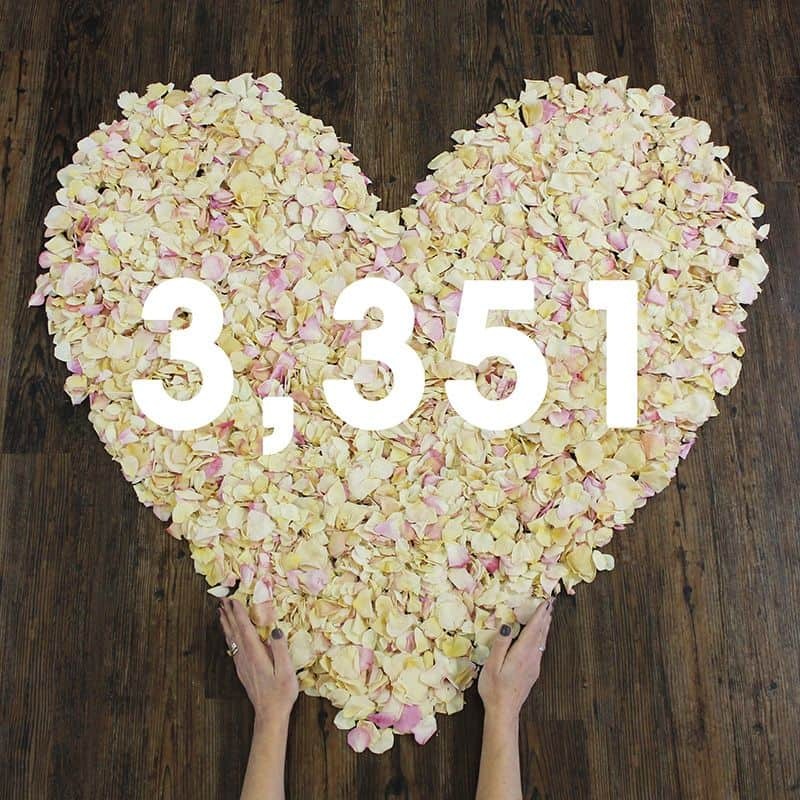 You are the winner of The Petal Count Challenge and recipient of a $50 Blooms By The Box gift card! Hello Gio! This s ounds like a fun event! You can find the pricing for all of our petals here! We have lots of colors and options to pick from. We sell our petals in 30-cup-quantities. I hope this helps!